At 220MPH, the $580,000 Jaguar XJ220 is not the fastest or the most expensive car in the world. 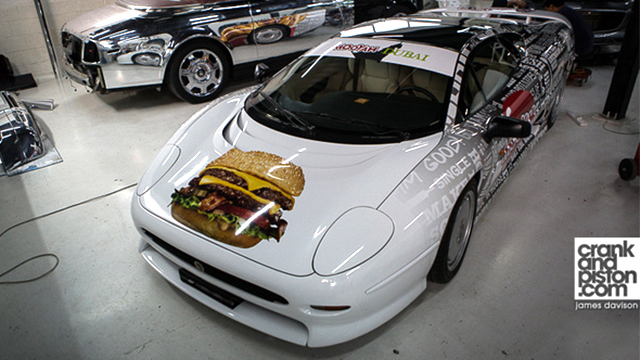 But, in Dubai, a company called Mooyah will deliver burger and fries to your door using it, which makes it the fastest and most expensive delivery car in the world. See more pictures after the cut.